For people who work in the gambling industry, such as croupiers, professional gamblers, bookmakers and even those involved in horse racing, getting affordable car insurance can be surprisingly difficult. For people who work in the gambling industry, such as croupiers, professional gamblers, bookmakers and even those involved in horse racing, getting affordable insurance can be surprisingly difficult. With long hours worked, large distances travelled, events attended and sometimes even disgruntled customers met, it's little wonder that some insurers will consider gamblers, croupiers and all betting staff to be a slightly higher risk than average – and many of these insurers will hike up their prices when you ask for cover. At Adrian Flux, we prefer to treat all of our customers the same and to provide reliable and affordable home and car insurance for betting and casino staff, regardless of what role you fill. We won't punish you or push up your premiums just for working as a teller, professional gambler or security guard - instead we rely on only the relevant facts about you and your history. To find out more about how the team at Adrian Flux can help with professional gambler's home insurance or car insurance, call today on 0800 369 8590. From car insurance for bookmakers and doormen to insurance for cashiers, casino managers and tellers– our policies are planned to help you out, no matter what your job. We aim to provide everyone with the same great car insurance, keeping what matters protected without breaking the bank. A range of cover levels, from comprehensive through to third party only, help you to customise how much protection you get. We offer lots of different discounts, from experienced drivers to limited mileage policies to save you money. An array of add-ons are available to compliment each professional gambling and staff policy, from breakdown to key care and gadget cover. Whatever mods you have on your car, both for performance or aesthetics, we can cover them and offer like-for-like replacements. Free 90 day greencard cover is included to travel in Europe. If you are a member of an owners club we could offer you exclusive discounts. You could get covered to take your car to owners rallies and motor show events - showing off your pride and joy to the motoring community. By using our many discounts, owners club bonuses, cover levels and optional add-ons, we will help you to tailor a policy to your exact needs - balancing how much you pay with what cover you receive. Our cover can help everyone in the industry, with insurance for amusement arcade workers and betting shop clerk insurance treated just the same as cover for any other profession. 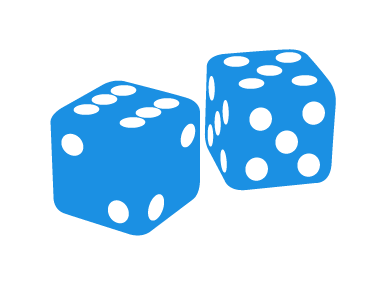 Just as with our car insurance policies, we provide home insurance quotes for professional gamblers that are fair and affordable, without premiums that punish you for your day job. At Adrian Flux, we never offer our customers generic one-size-fits-all policies. Instead, when you call our office, our team will work with you to go through everything you need covered, the price you're happy to pay, and any additional extras you need to produce a quote that's tailored to you and your budget. So whether you live in a city-centre flat or a country manor house, we have access to the policies that can help you, tailoring the level of cover and premium to fit your needs and your budget. With more than 40 years of experience of finding quotes for our customers from a panel of 40 different insurers, the team at Adrian Flux is ideally placed to help you get gambling staff or gambler's home insurance. To find out how we can help, and to get a quote today, call us on 0800 369 8590 or click the callback button to arrange a time for us to call you.